The Doral Slip and Fall Attorneys at the Wolfson Law Firm have been helping personal injury victims in Miami since 1963. They can help you too. Just call (305) 285-1115. If you were injured in a Doral slip and fall, trip and fall or due to the negligence of an individual or corporation, you may be entitled to financial compensation for your medical bills, lost wages and pain from the responsible property owner, company or corporation. Doral is sometimes affectionately known as “Doralzuela” or “Little Caracas” because of the huge influx of Venezuelans over the last 10-15 years. The Broward hub for Venezuelans is in Weston – which is also called “Westonzuela”. As anyone who has traveled to Venezuela can tell you, it is a country of tremendous resources. Unfortunately, the government leaders have wasted the assets of the country and driven its economy into the ground. South Florida has benefited with the large numbers of educated and industrious Venezuelans who escaped the oppression and danger of their homeland. 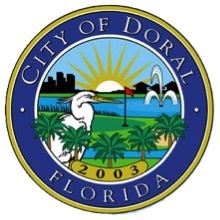 Doral is located in the northwest quadrant of Miami-Dade County and is represented by zip code 33178. It is approximately one mile from Miami International Airport (MIA) and the Dolphin Mall. At present, there is a significant amount of construction in Doral which is fueled by foreign investment. The Federal Reserve Bank has one of its branches located in Doral and is called the Federal Reserve Bank of Atlanta Miami Branch Office. Doral is home to the headquarters for Carnival Corporation and subsidiary Carnival Cruise Lines, Benihana, and Perry Ellis International. Doral is also home to Trump National Doral Miami. Our Doral Premises Liability Lawyers represent people injured in slip and fall accidents, trip and fall accidents and other premises liability at the Trump National Doral in Miami or any of the other resorts such as Marriot Villas, Doral Saturnia or the Provident Doral at The Blue Miami located in Doral. Many people who live and work in Doral speak Spanish. Many clients prefer to speak to their attorney in their native language. It can be very difficult to describe the facts of an accident and the extent of one’s personal injuries in a second language. At our firm, the managing attorney Jonah Wolfson is a bilingual personal injury attorney in Miami and is available to speak to you now. The city of Doral has a wide variety of stores, shops and restaurants that serve the community. If you live or work in Doral, you will be able to find CVS, Walgreens, Wal-Mart, Publix and Home Depot close by. There are also a number of individually owned stores and shops. The one thing that all of these commercial enterprises in Doral share is a simple promise to its customers. That promise is to keep you, the consumer, safe from unreasonable harms. They want you to visit their stores and spend your time and your money. In exchange for that, the businesses are supposed to keep the grounds clear of slippery substances. They should also make sure their stairs, sidewalks, parking lots and restrooms are safe for your use. If a consumer, customer or shopper is injured because the business owner broke their promise to keep you safe by following simple safety rules and somebody is injured then that business owner is responsible for the harm they cause. It is imperative for you and your family to know what to do after a slip and fall accident and our Doral Slip and Fall Lawyers in Miami can help you. The Doral Trip and Fall Attorneys at the Miami offices of the Wolfson Law Firm help injured folks in all parts of their personal injury cases. Our Miami Personal Injury attorneys can tell you what you should know about slip and fall accidents. They will work with your doctors to make sure you get the best medical care possible. They will hire the necessary experts to prove your case. If your case cannot be settled for a reasonable amount then we will file a lawsuit on your behalf and take your case to trial if required. The Doral Lawsuit and Litigation Attorneys at the Wolfson Law Firm can handle your case from the first call through trial and appeals if necessary. The Doral Slip and Fall Attorneys at the Wolfson Law Firm are part of a team that is a full service personal injury law firm. We routinely accept cases referred for co-counsel, for trial and litigation from other attorneys. No matter who you hire, you should make an informed consumer decision by fully reviewing your potential attorney’s results and qualifications. If you, your family or your friends are injured in a trip and fall or slip and fall in the City of Doral in Miami, then you should call the Wolfson Law Firm personal injury attorneys. We have been representing injury victims and the families of those lost in wrongful death for over 60 years. Call today at (305) 285-1115 for your free consultation today. The Wolfson Law Firm represents people with personal injuries at the Aventura Mall, Dadeland Mall, and in the communities of Allapattah, Hialeah, Medley, Edgewater, Little Havana, Weston, Hollywood, Pembroke Pines, Miami Gardens, Westchester, The Roads, Shenandoah, Victoria Park, Miami Springs, Davie and all across South Florida neighborhoods.